I collect them, even if they’re not my “faith.” I try to feel the pull they must have on others. Sometimes I do feel it, but remotely, as if from a very distant star. Or merely the remembered warmth of a summer evening, felt in the chill of January. Mary, Mary, St. Francis. 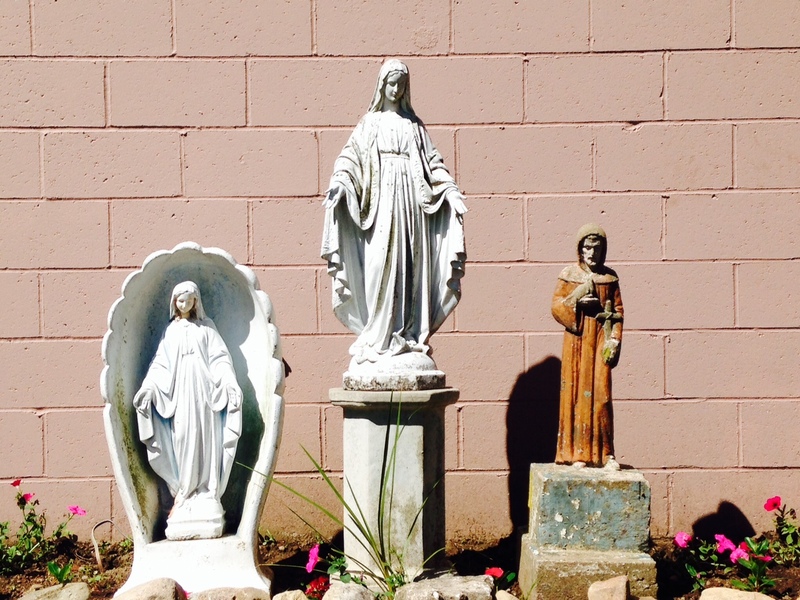 Found in the church yard at St. Ann’s, Bridgeport, CT.